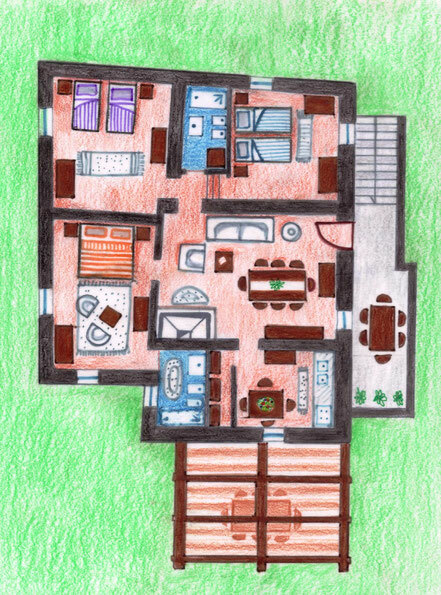 The entrance gives access to the large living room with comfortable sofa’s, satellite TV and a large fireplace. 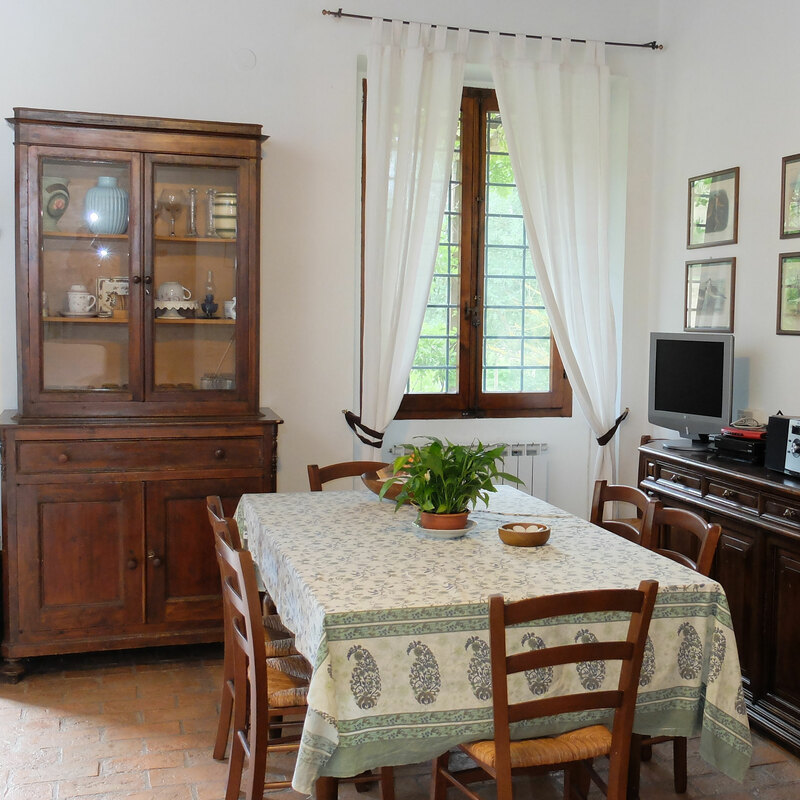 The fully furnished dining room is connected to a well equipped kitchen with additional table for four. 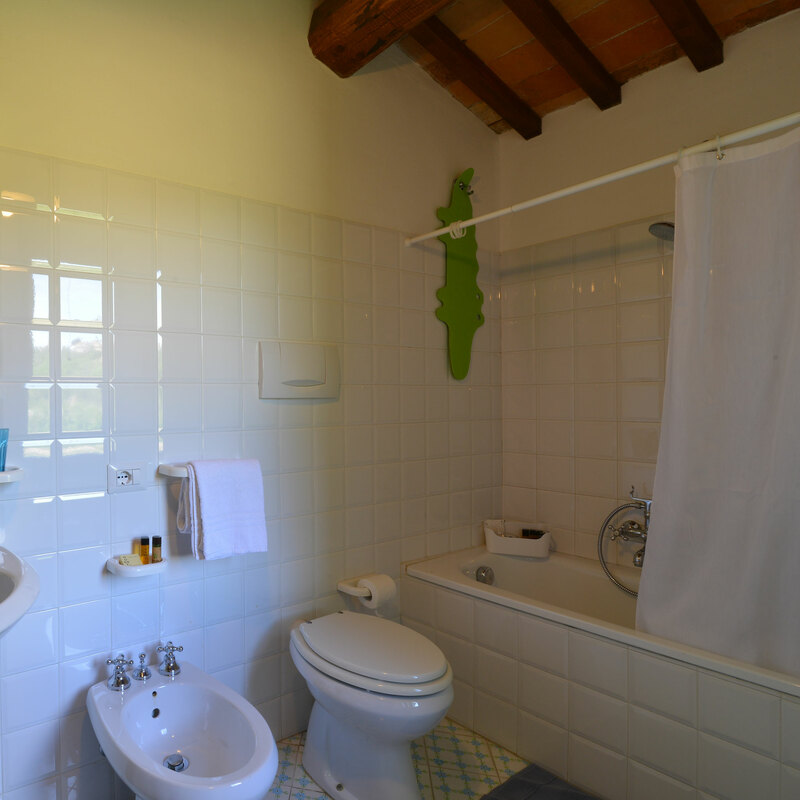 In front of the main entrance there is a twin bedroom with en suite bathroom with bathtub and shower, whilst on the right there is the remaining of the night area, with 2 twin rooms, a bathroom with bathtub and shower and the laundry room. 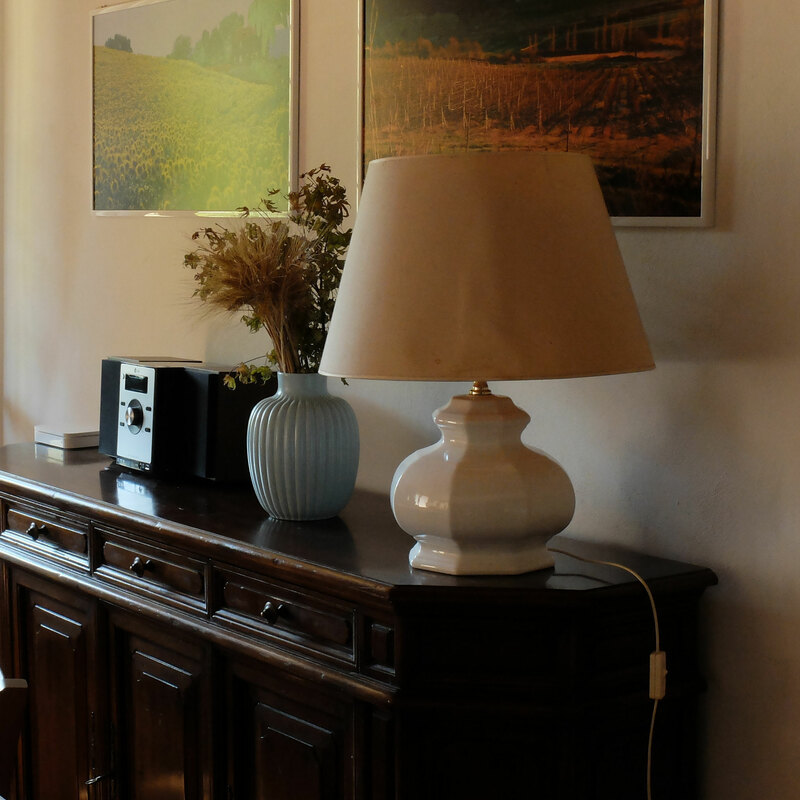 Dining room and all rooms have independent air conditioner. The living room and bedrooms are equipped with split autonomous but most likely you will have no need at all because Casale Marone is a cool and breezy. Free wi-fi in all areas, including at the pool! 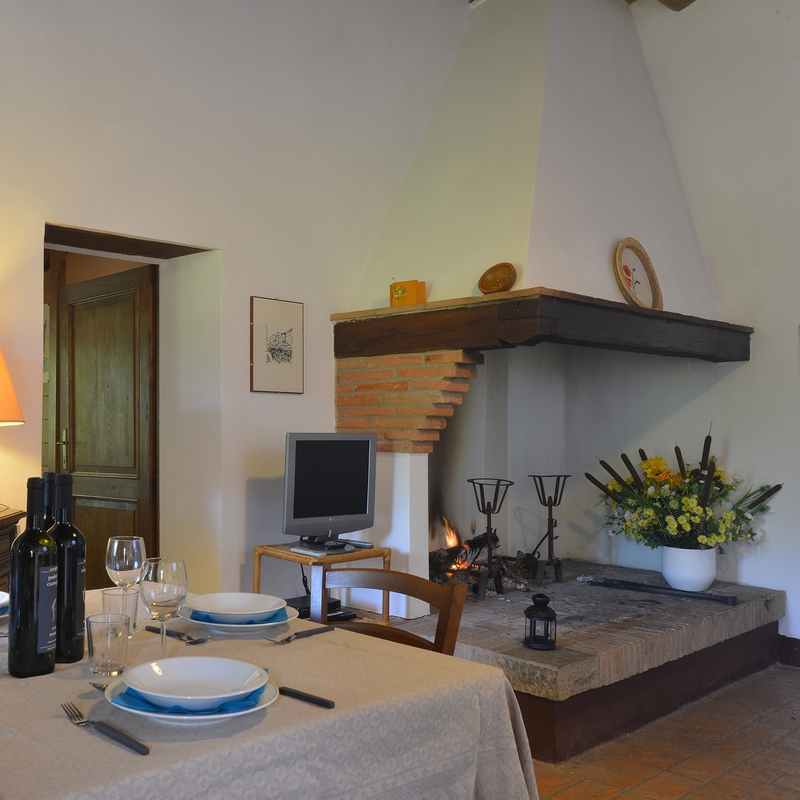 At home you will find a bottle of our wine, we'll be happy to have you in the cellar for a tasting. Our winery is meters from Casale Marone, you can also get there on foot along the way inside the estate; It is an opportunity to visit the new vineyard. We had a great time, and really enjoyed the spacious gardens, views and pool. Plenty of shade by the pool and lots of sunbeds/chairs, even toys and inflatables.The air con in the house was a godsend, though quite expensive, and there was good wifi. The accomodation was slightly basic, very clean, but the beds were not comfortable (apparently new mattresses are on order) and we had a few problems with the fusebox tripping and dishwasher not working well that the hosts were very helpful in diagnosing and fixing/replacing. Margarita the agent was lovely, friendly and helpful, fluent english speaker. Deborah the lady who met us and did cleaning was also great. Had a great morning out at the vinyard and wine cellar. Was good to have bikes available for rides - though they needed a bit of TLC - again, when we asked the hosts they got spare parts etc. Accomodation up on first floor meant lots of going up and down the main stairs as the covered verandah and BBQ are on ground floor, might not be not ideal for very young kids or those with mobility challenges. Access is via a fairly steep gravelly drive, which was a challenge for my parents with a caravan, but the hosts arranged a 4x4 to pull it up - nothing was too much trouble for them. While we were there there was a festa di contadina in the village Fabro Alto which was good fun. It is 10-15 mins to walk into Fabro Alto and not the most attractive Umbrian village, though there are lovely places nearby. I would say a car is a must. It is well placed for a visit though, with a train station with regular trains to Rome or Florence or elsewhere and near the main A1. Orvieto is nearby and gorgeous, as was Citta Della Pieve. Some lovely countryside places to eat fairly nearby too. Thanks to property location, equipement, spacious house, wonderful pool area me and my family spent amazing two weeks in Umbria, special attention and thanks to Margherita and Deborah, welcome package and cake :O), during our stay we enjoyed beautiful sunny days (that views to surrounding hills !) and marvelous evenings with sunset views from private patio. Thanks to the owners for this wonderfull place. 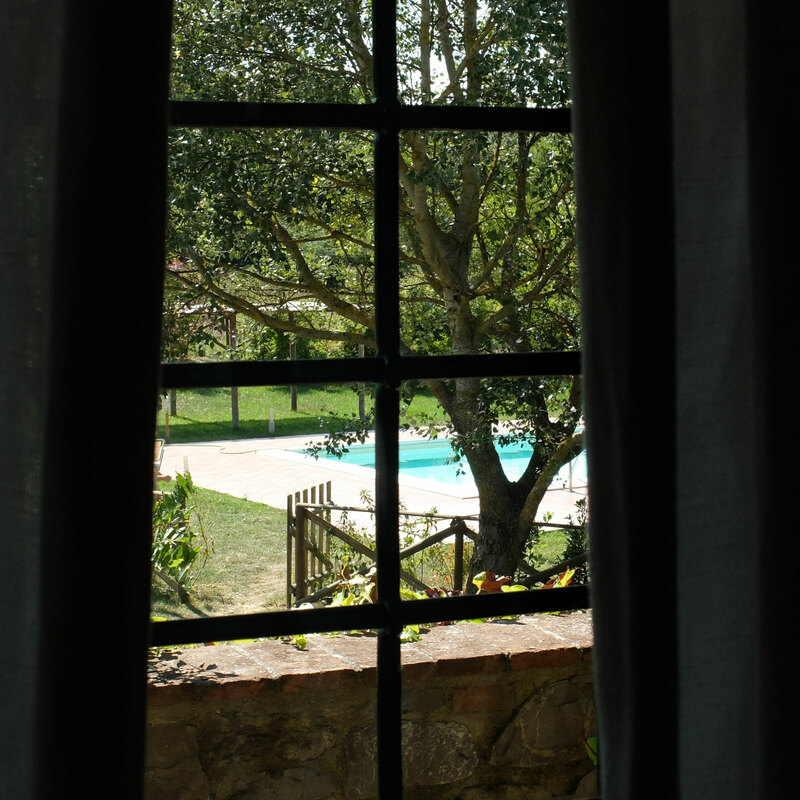 Ideally located in the Umbrian countryside, the Villa is only minutes away from major roads that give you easy access to great destinations all around. We took full advantage of this and enjoyed the quiet of the villa when relaxing after our excursions. It's spacious and comfortable with wonderful views of the surrounding hills. 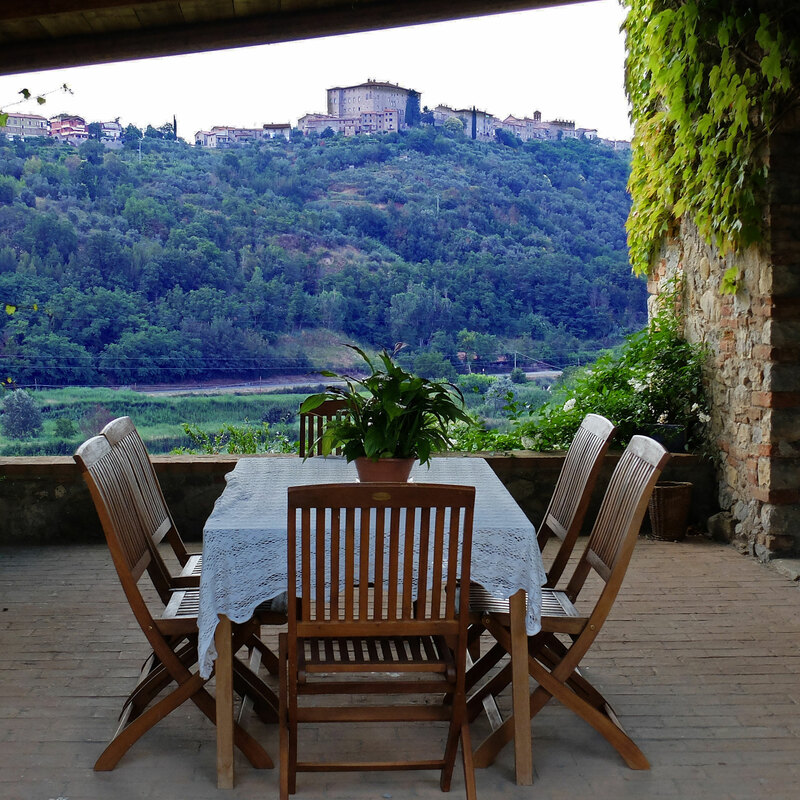 Imagine Sangiovese wines and sunset on your own patio. 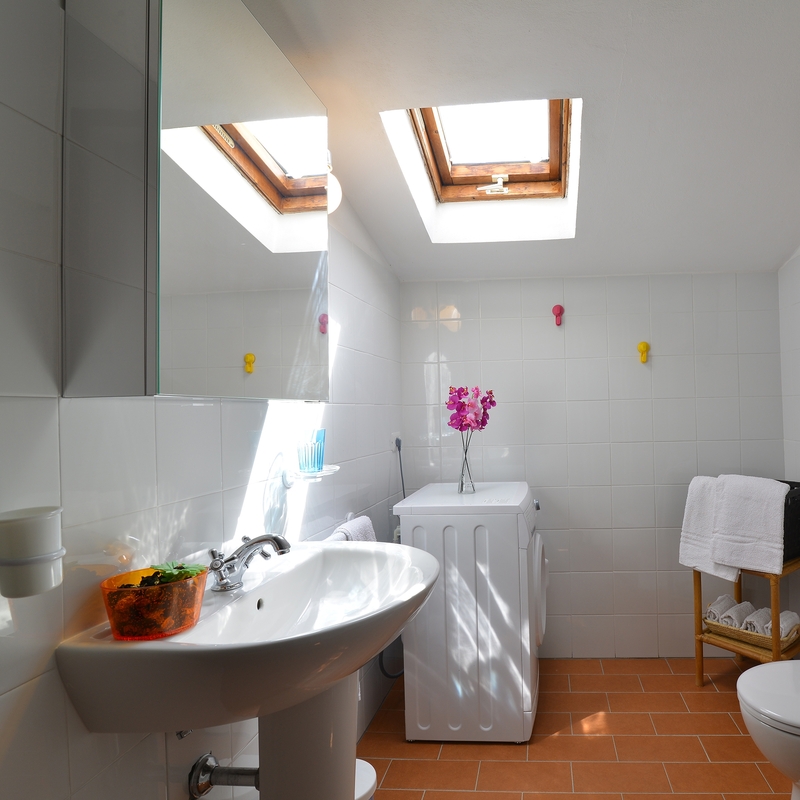 The property has fabulous views from all angles. The pool is very private and the views of the surroundings while swimming are lovely. The house is located on a hill which made the views spectacular. We were very welcome by Debora and Margherita who kindly brought us a delicious cake during her visit. We had the chance to meet the owner who was a charming gentleman. They were all very attentive to our needs and very responsive. 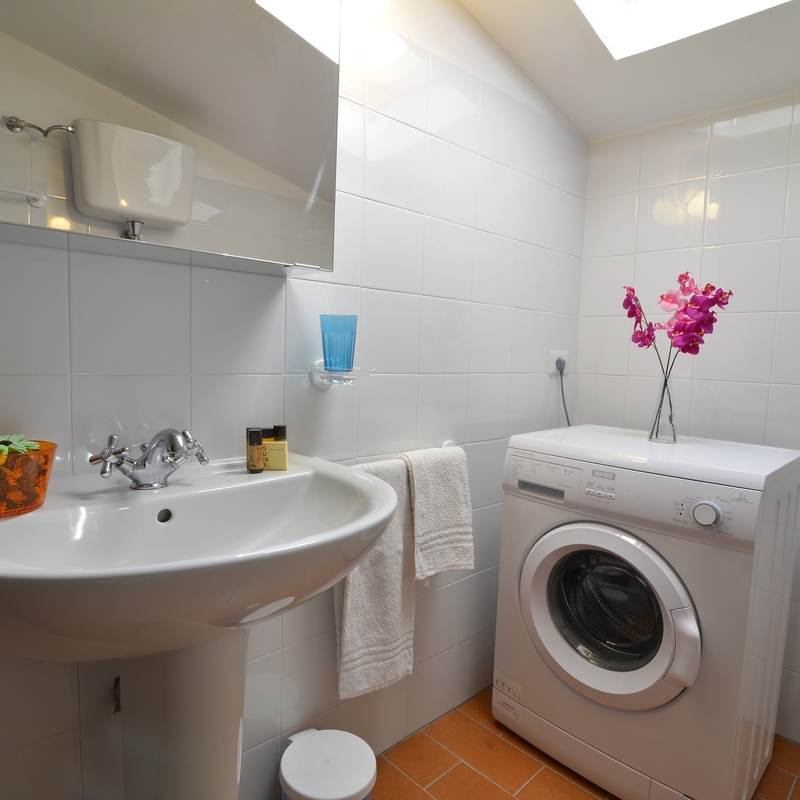 The house was very comfortable and well- equipped. 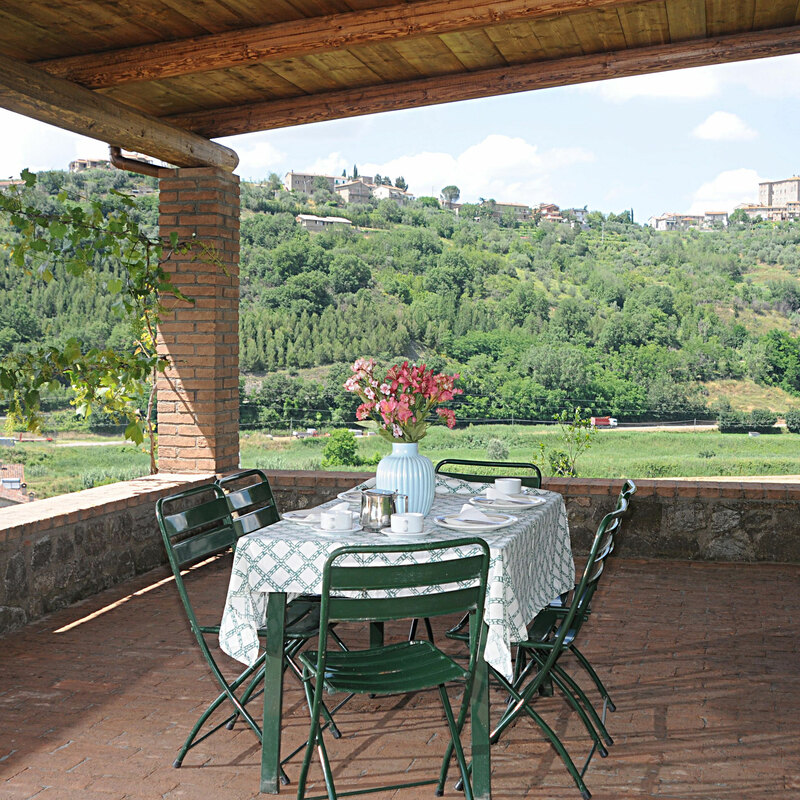 It is close to Fabro Scalo which has shopping facilities, a few bars and restaurants. Definitely no need to travel far to eat out and have a drink with the locals. I would recommend to friends. We had a really wonderful two weeks.
. The listing of the property was accurate.
. 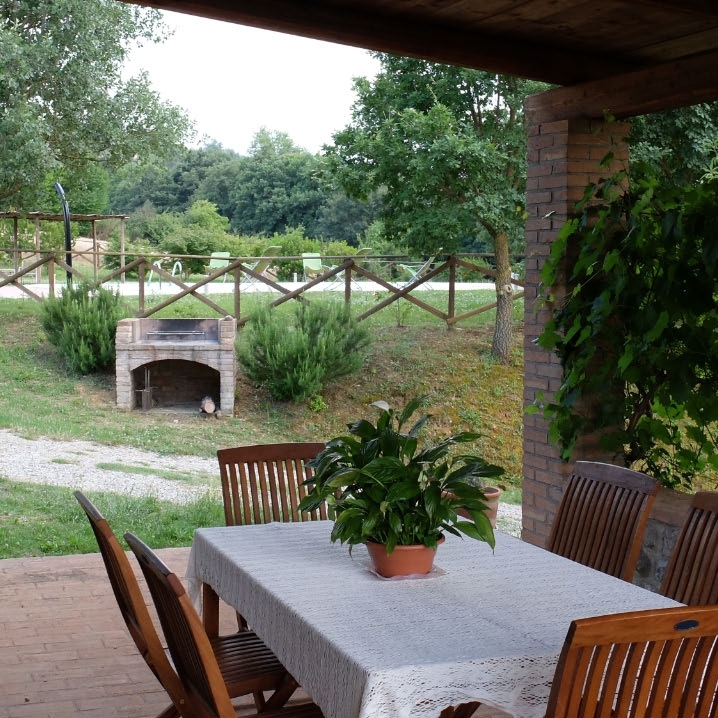 The property was spotless when we arrived.
. We were made to feel at home and well looked after by the managers of the property Margherita and Debora. Leading up to our holiday Margherita was of great help in coordinating our arrival and suggesting ideas for our stay. During the holiday she also dropped in with some local baked goods! As we opted to get the train to Fabro rather than drive we needed to get from the station to the house (apx. 2km). We were planning on getting a taxi from the station but instead Debora picked us up and even took us to the local supermarket to stock up on food! On our day of departure Debora again ferried us to the station which was much appreciated. The owner of the property also made us feel welcome when he dropped in briefly to say hello on the Friday. Overall the level of customer service was exceptional.
. Without a car we could not travel especially far locally. However due to the property's location between Rome and Florence we were able to make the short (apx 20min) walk into Fabro to the train station and take the train (apx 2 hours) either way to each of these fascinating cities. A much anticipated highlight was the wine tasting which was again arranged at our convenience. This consisted of a tour of a local winery by its manager, which was patiently translated by Debora. This was followed by tasting of the wine and snacks. We tried three different bottles, and were gifted anything we didn't drink to take away. The only local restaurant which we had time to get to was the Ristoranti Fabro La Locanda di Desideria. This was located on the hill opposite the house (apx 25 mins walk). The food was delicious and the owner was again friendly and welcoming. Much of the rest of our time was spent at the property eating, drinking, swimming and sun bathing. Overall the holiday was very relaxing in a large part due to the competence and help of our hosts. I would thoroughly recommend the experience to friends and family. 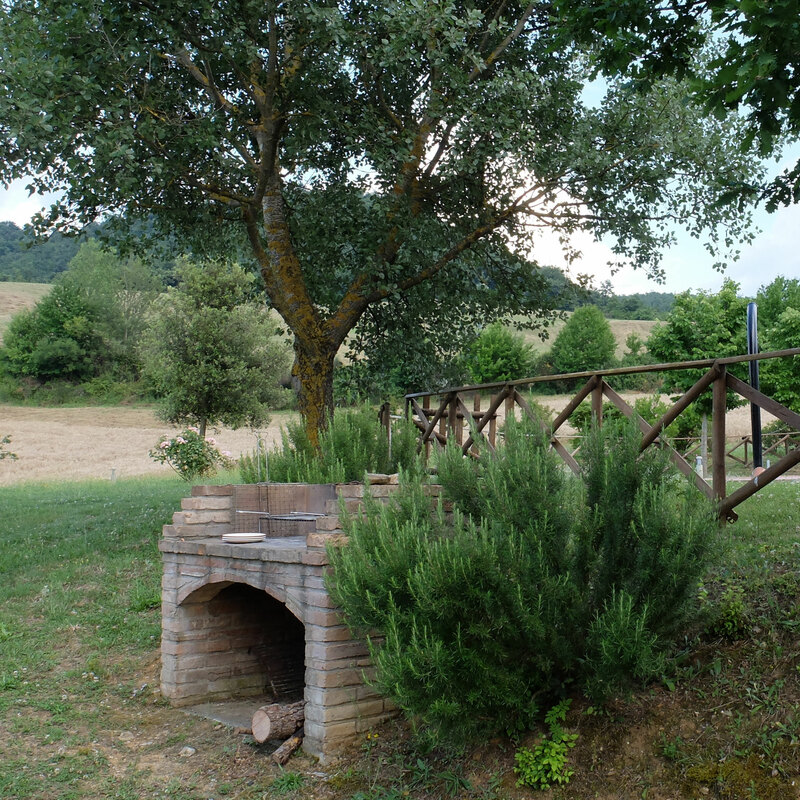 Bellissimo Podere in mezzo alla campagna per dei soggiorni di assoluto relax. La casa e' grande e ben curata e grazie alla piscina (viene pulita ogni giorno!!) sono anche le giornate più calde di puro piacere. I dintorni offrono agli amanti della cultura molte possibilita' di escursioni interessanti. PLEASE TAKE FEW MOMENTS TO COMPLETE OUR FORM. YOUR FEEDBACK IS INVALUABLE BECAUSE IT HELPS US TO FURTHER IMPROVETHE FACILITIES AND SERVICES WE OFFER YOU.